No matter how much we adore our bedroom, sooner or later, it becomes stale. It comes to a point where we start getting bored of seeing the same thing over and over. But you don’t have to go overboard and start planning a whole redesign for your room. All you need to do is make small changes. These changes need not cost you a lot. Start with the areas or corners you like the least or the ones not working with your everyday flow anymore. You will be surprised as to how much difference a little moving around, stacking, rotating, adding, or subtracting can create. If more action is needed, grab some home décor items and give your bedroom a new spin. Use personal pictures and memories in your bedroom. The personal pictures and memories will give you a strong connection with the room. If you are strongly connected to what you see, then you won’t get bored easily and the room will also hold a positive ambiance for you. Also, if you have any fine china or expensive crafts then get them out of the cupboards and place them in your bedroom as they will add more value to your room’s scene and setting. 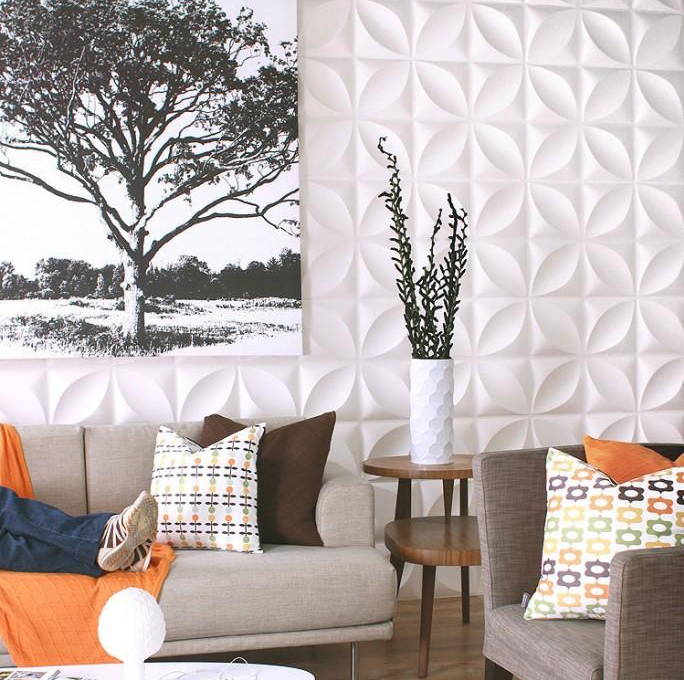 Add a contemporary pattern to your walls. This will give your bedroom a fun and modern look that you can play with. Use selective saturation when giving your bedroom this look. You can implement this pattern look by the means of wallpapers, vinyl stickers, or Wall Flats. You can also try mixing different pattern elements. Light is a key element to make your room seem bigger and brighter. The more light that comes in, the more spacious your room will seem. If you don’t have much natural light coming in, then you can add some mirrors. By placing them in strategic positions, you can create the effect of more light in the room. This will also give your bedroom a more connected feel to the outdoors. One of the most common problems that most bedrooms face is that they are untidy and cluttered. This will make a small space even more cramped than usual. When things are neatly organized and are out of sight, the space will feel more orderly and open. Keeping pictures on the wall is a good idea but don’t overdo it. If there is too much going on, then the room will feel very busy and crowded. Reclaiming your bedroom is a task that can easily be accomplished if the nuances and minor details are paid attention to. A bedroom is supposed to be a very intimate place and its make up should reflect that. There is always more that you can accomplish with your bedroom, so keep experimenting with different home decor ideas.